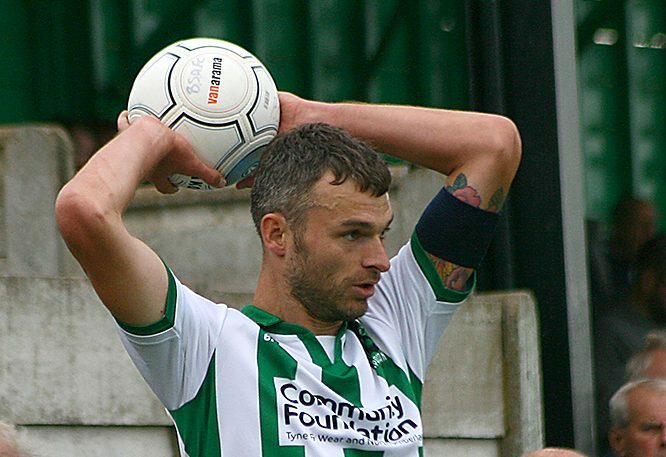 On the day that that the enigmatic Robert Dale claimed second spot for himself in the list of all-time top goalscorers at Croft Park, Blyth Spartans manager Alun Armstrong was full of praise for his history-making captain. Dale’s stoppage time penalty at the end of the first half of Saturday’s 4-1 Buildbase FA Trophy triumph over Marske United saw him surpass former Spartans centre-forward Steve Pyle’s impressive haul of 197 goals. With only the legendary Brain Slane ahead of him at the top of the standings with 242 goals, Dale’s success from the spot has only helped to further cemented his own legacy at Blyth. Former Middlesbrough and Ipswich Town striker Armstrong couldn’t but appreciate the goalscoring exploits of “Robbiedinho” and also backed him to reach the landmark of 200 goals in the near future. Armstrong stated: “I must congratulate him for his landmark goal today. Reaching 198 goals for one club is a fantastic achievement. “I’m quite confident he’ll easily reach the 200 mark as well. I would love that to be next Saturday, but it would be even better if he was to do it at home. 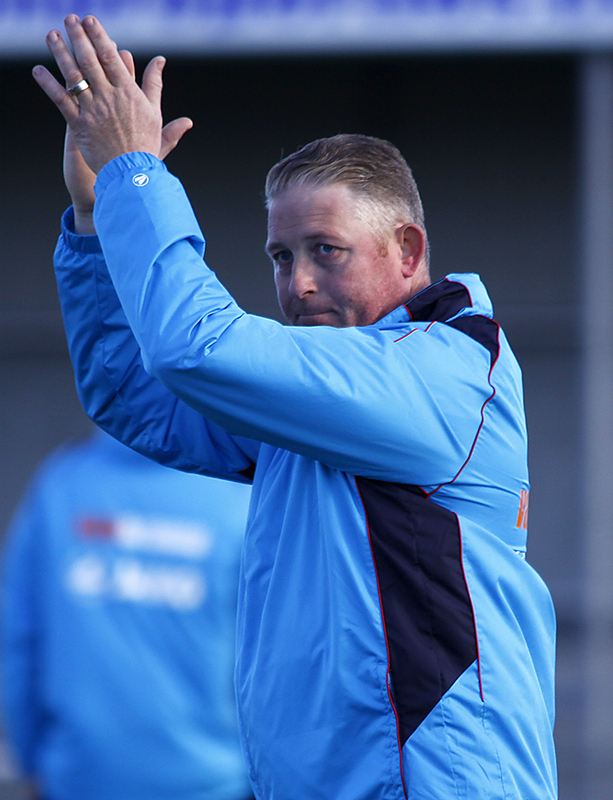 After an indifferent start to the season, the Spartans boss also revealed that the improved form of Dale in recent games has been the catalyst in his side’s upturn in fortunes – as they have now recorded five wins in their last seven games in all competitions. Armstrong revealed: “I think Robbie is starting to understand his role from me now. “I looked at him during the win over Curzon Ashton and I think I said at the time that he dragged us back into that game. We were 2-0 down and we needed a real captain’s performance. “He started the move for the first goal and you could see what it meant to him when it went in. He loves this club and you can see Robbie loves this club. “He’s been absolutely fantastic, but I’m been wanting to rest him to keep him fresh. He doesn’t want a rest, he just want to keep playing.